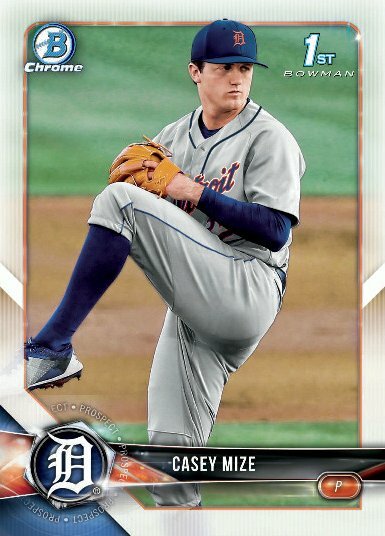 The release date for 2018 Bowman Draft Baseball has been pushed to later this year. We will provide an updated release date as we get it. 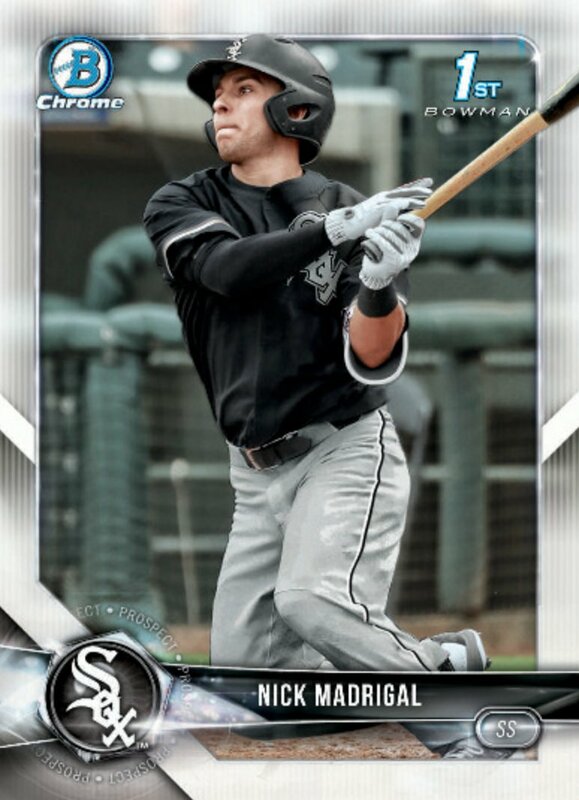 2018 Bowman Draft baseball continues to be the first MLB licensed cards of the 2018 MLB Draft class. This will deliver three on-card chrome autographs per 12-pack jumbo box (eight boxes per case) along with a mix of new insert content and Base Cards of top MLB Draft picks, while Super Jumbo Box guarantees five autograph cards and will have a total of 600 cards. 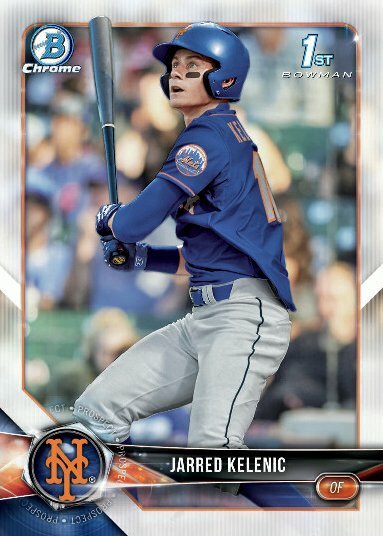 The 200-card base set will have Paper and Chrome Refractor parallels with a rainbow that includes Sky Blue (#’d/499), Purple (#’d/250), Blue (#’d/150), Green (#’d/99), Gold (#’d/50), Red (#’d/5) and 1/1 Black as well as printing plates, while on the chrome side, there will be standard Refractors, Purple (#’d/250), Sparkles, Blue (#’d/150), Green (#’d/99), Gold (#’d/50), Red (#’d/5) and 1/1 Superfractors and printing plates. Inserts will include Franchise Futures, Recommended Viewing, 1998 Bowman 20th Anniversary and Bowman Sterling continuity cards. 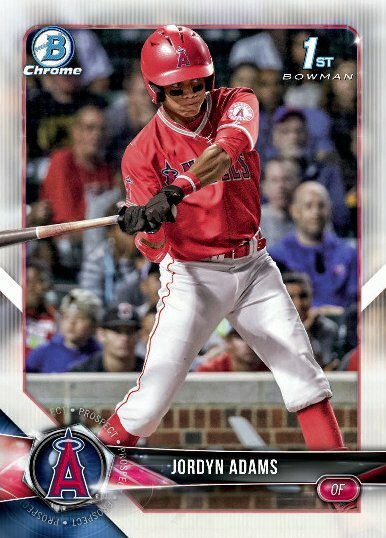 These will have Refractor (#’d/250), Gold (#’d/50), Red (#’d/5) and 1/1 Superfractor parallels while the Sterling card will only have Atomic (#’d/150), Red and Supers. Chrome Draft Pick Autographs will have a rainbow of colorful Refractor parallels such as Refractor (#’d/499), Purple (#’d/250), Blue (#’d/150), Blue Wave (#’d/150), Green (#’d/99), Sparkles (#’d/71), Gold (#’d/50), Gold Wave (#’d/50), Red (#’d/5), Red Wave (#’d/5) and 1/1 Supers as well as 1/1 Black Wave and printing plates. 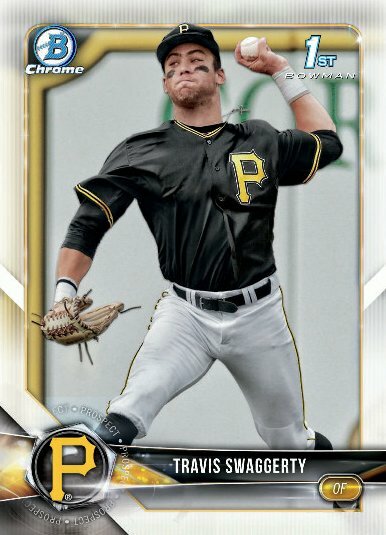 The Class of 2018 autos will be limited to no more than 250 copies and will have Gold (#’d/50), Red (#’d/5) and 1/1 SuperFractor parallels. Collectors can find the same parallels in Draft Night autos, Recommended Viewing dual autos, 1998 Bowman autos, and Bowman Sterling Autos. Exclusive to Jumbo boxes will be Top of the Class box-toppers which will have auto parallels (#’d/35), Gold (#’d/50), Red (#’d/5) and 1/1 Superfractor.